Clyde could be banned from fielding any of their four January signings after the League Two club admitted breaching rules over tax payments. The Scottish Professional Football League board will discuss the matter "at its meeting in the coming week". "The club has inadvertently breached rule E29 of the SPFL by missing a November HMRC payment of £3,320.20," said a Clyde statement. 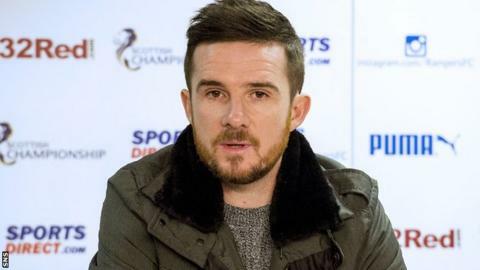 Barry Ferguson's side have dropped out of the promotion play-off places. During January, the Cumbernauld side, who have lost their last four games to fall to seventh place, signed former Livingston defender Ross Millen, John Gemmell after his exit from Albion Rovers and fellow striker Jamie Watson from Annan Athletic. Meanwhile, defender Scott McMann arrived on loan from Hamilton Academical and all four will be need special permission by the governing body to make further appearances. "In the event of a breach of rule E29, clubs are precluded from fielding players registered after the breach unless subsequently approved by the board of the SPFL," Clyde added. "The club is in communication with the SPFL, whose board will consider this matter at its meeting in the coming week. "The club is fully up to date with all HMRC liabilities." Millen has started once, while Watson has come off the bench three times, but Gemmell and McMann have yet to make an appearance for the Bully Wee.